Kiri’s passion for music began at age three when she started learning the violin and piano. She has garnered many accolades, including first prize in The Juilliard School violin competition and recognition from the National Foundation for Advancement in the Arts. At Aspen Music Festival, she performed with the Young Artist Orchestra and played under conductors such as James Conlon, James Levine, Michael Tilson Thomas, and David Zinman. Kiri has participated in master classes given by the Nash Ensemble, the Brentano Quartet, and Emanuel Ax, among others. She also served as concertmaster of the New York Youth Symphony for three consecutive years, performing at Carnegie Hall. As a composer, she has had her orchestral pieces premiered by The Juilliard and Princeton University Orchestras, and works commissioned by the Gemini Youth Orchestra, New York, and Youth Orchestra of Central Jersey. 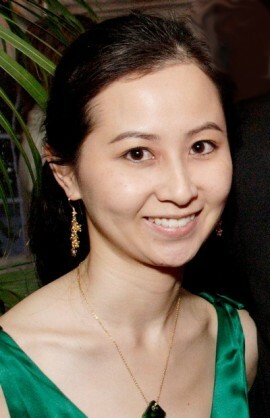 Kiri graduated with high honors from Princeton University in music theory/composition, Japanese, and environmental studies. She worked for Education Through Music in New York City and the New Jersey Symphony Orchestra before joining the Princeton Symphony Orchestra where she served as General Manager and Artistic Administrator. Kiri is currently the Executive Director of Portland Youth Philharmonic—America’s first youth orchestra. She joined the Music for Autism Board after performing an autism-friendly concert as a violinist at the Eden Institute in 2009.